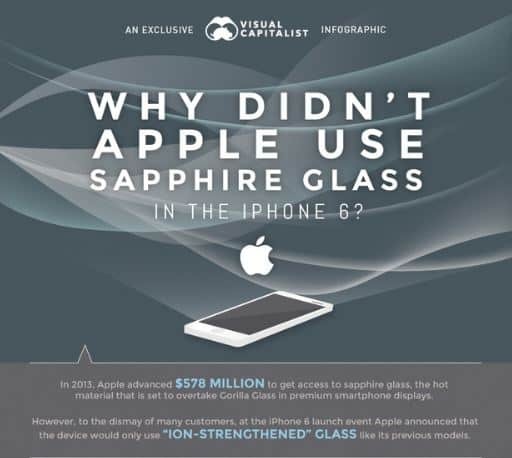 Apple iPhone 6 and iPhone 6 plus doesn’t have Sapphire glass: Why? Apple has failed in bringing up its latest innovation of adding Sapphire glass display to its new iPhone series iphone 6 and iPhone 6 Plus. 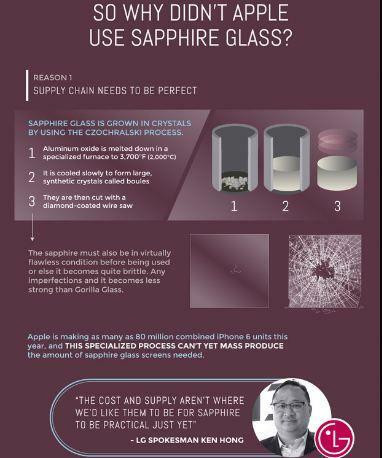 As per the many previous iPhone 6 concepts, Sapphire glass is one of the expecting specifications in new series of iPhone. Towards the end of 2013, Apple even signed a deal with GT advanced technologies that would see the former Towards the end of 2013, Apple signed a deal with GT Advanced Technologies that, Apple would advance over half a billion bucks to GT advanced technologies, in order to accelerate the Apple’s progress in constructing a State-of-the-art production facility that will allow Sapphire glass to be produced in mass quantities and cheaply. 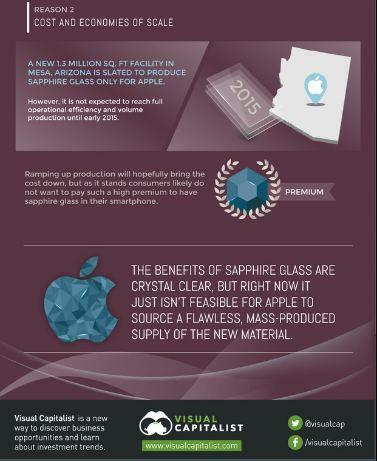 This deal has aroused the expectations among the Apple users and fans that Apple would coming with extremely tough glass display “Sapphire glass” than Gorilla glass in its newer Series of iPhone. But in reality Apple has failed in keeping up the Innovation, using the same display screens again. In few of the drop test, Apple iPhone 6 and iPhone 6 plus literally failed. 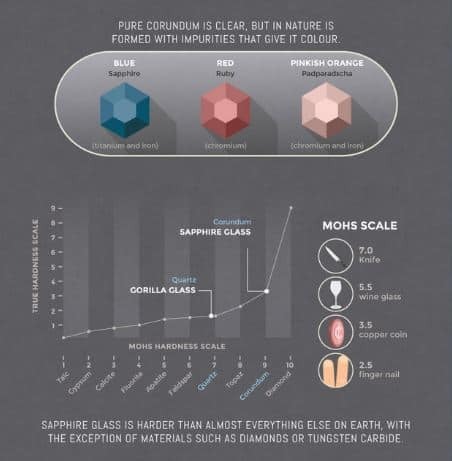 There are bunch of reasons why Sapphire display supersede in the strength and quality design than Gorilla glass display, which were explained through beautiful infographics. 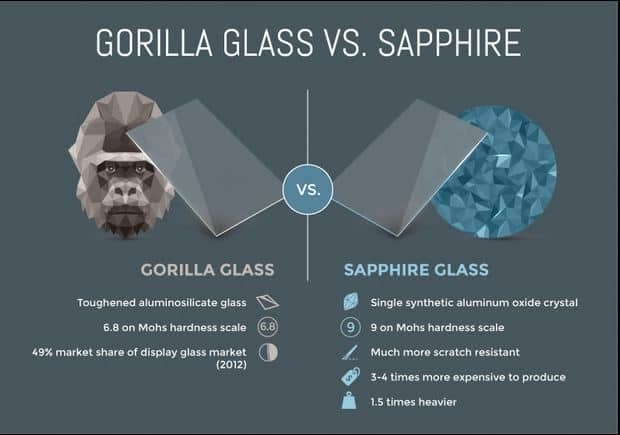 Have a peek at the gallery below to find out the difference between Gorilla display and Sapphire display and Why apply has failed in imparting Sapphire display in there newer iPhone series iPhone 6 and iPhone 6 plus. Next articleiOS 8: Jailbreak iOS 8 using Pangu again: Is it Possible?